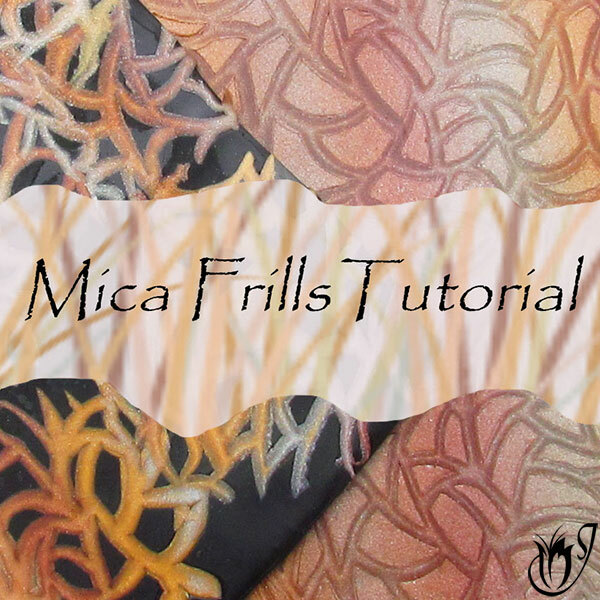 This Watercolor Mokume Gane tutorial demonstrates a fun take on the classic Hidden Magic Technique. With a few twists and tweaks it can look quite different and interesting. It has a watercolor effect to it, hence the name. You can try this in any color you like and use different texture stamps to create different effects. It’s fun, easy and overall, a great polymer clay technique. 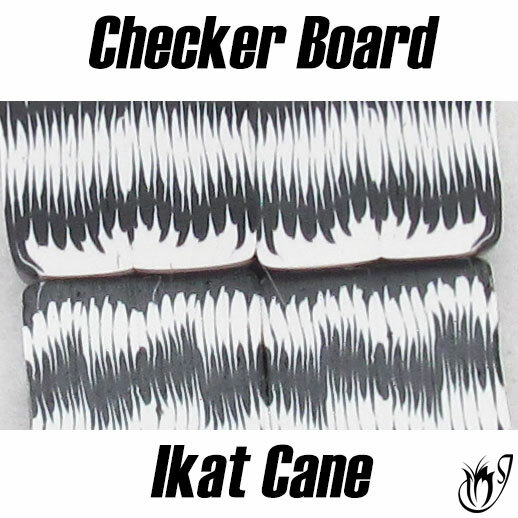 This Mokume Gane technique incorporates A Skinner Blend Bulls Eye Cane. If you haven't made one of these before, you'll need to watch the tutorial linked in the box after the video before you watch this one. You’ll need a Skinner Blend Bulls Eye Cane to start off with. 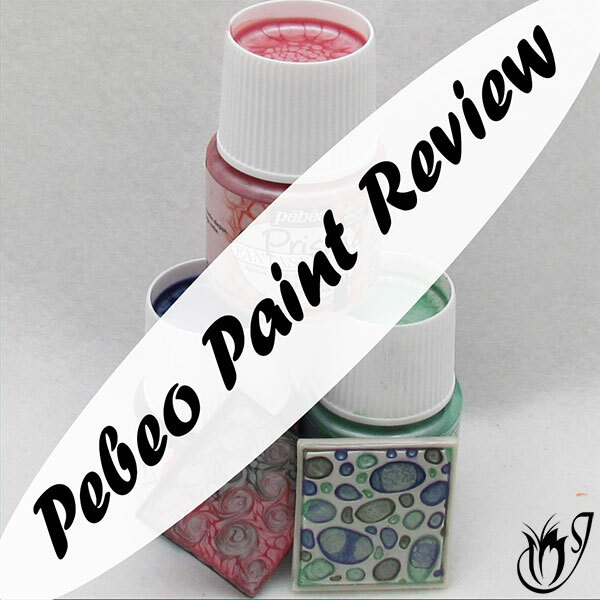 I’m using one with a Skinner Blend between Pearl White and Bright Green Pearl Premo. If you don't know how to make a Skinner Blend Bulls Eye Cane please see my tutorial. Reduce the cane down until you can cut out sixteen pieces with around a half cm diameter. Lay the sixteen pieces next to each other and flatten them out with your acrylic roller so that they form a solid sheet. Run the sheet through your pasta machine on the thickest setting. Make sure to run it through so that you lengthen the stripes. Repeat on the middle setting, again lengthening the stripes. Put this sheet aside for the moment. Roll a piece of black Premo through the thinnest setting of your pasta machine. See my tutorial showing How to Prevent Pasta Machine Ripples if your sheet is giving trouble at this setting. Place the black over the top of the other sheet you put aside. Smooth out all the air bubbles. 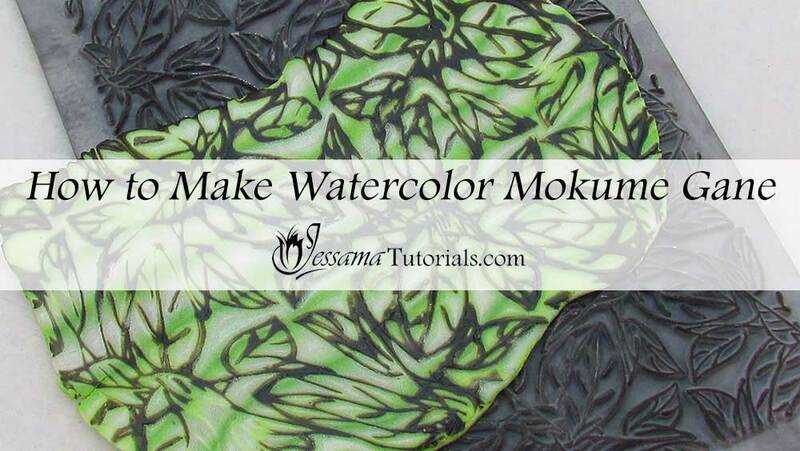 Turn your sheet over and trim off the excess black polymer clay. 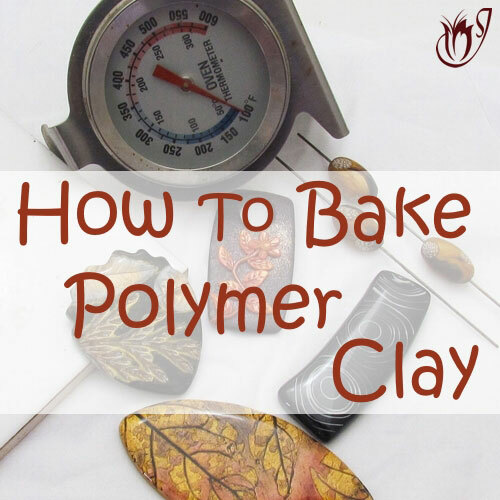 Lay the sheet of clay, black side down over the polymer clay stamp. Spray water over the sheet and press it into the stamp using your fingertips. Work from one side of the stamp to the other to expel any air bubbles and excess water. Give one quick pass with the acrylic roller. Gently lift the clay out of the stamp once you’ve got a nice imprint. Wipe away any remaining water on the clay or your work surface. Carefully shave off the raised areas of the sheet. Be careful not to gouge your clay. You only want to shave away the raised areas. Once all the raised areas have been sliced off, gently flatten the sheet with your acrylic roller, remembering to roll in all directions so as not to distort your pattern. And that's the Watercolor Mokume Gane technique. A simple, but fun variation of Hidden Magic.